1A Qualtität ! ! ! Accu-Shot Monopod w/Quick Knob Standard Range 3.75-4.85"
The Accu-Shot Monopods are designed to add stability and provide easy elevation adjustment for bi-pod equipped rifles. 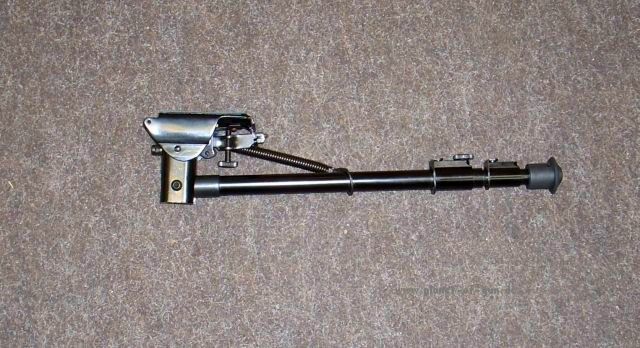 The Monopods attach to the rear sling swivel stud of most rifles, or the optional AR-15/M1-A adapter for military type rifles (A2 stocks only). The "Original" Monopod has a lockable elevation adjustment made by rotating the neoprene body of the monopod - each full rotation is equivalent to five inches of movement at 100 yards. This is a well-made, easy to install accessory suitable for shooting off the bench or on the ground. Each model features a lock ring to lock the elevation in place. Quick Knob model allows fast adjustments and has 3.5"-4.65" of elevation. The AI/ASAI Original Monopod fits the Accuracy International AE, AW and AICS stock systems. The Precision Rail Monopod (PRM) from Accu-Shot attaches to a Picatinny rail and has several applications other than monopod use, such as a folding vertical fore grip. It easily folds up and retracts out of the way when not in use. 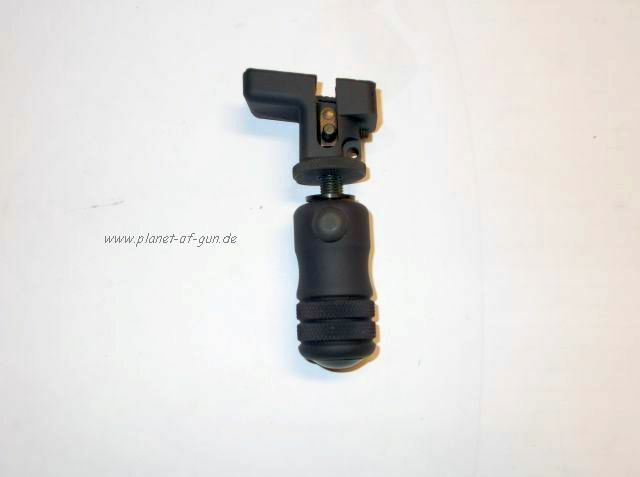 We’re offering the PRM with the factory upgraded “Quick Knob” for faster target acquisition. The “Quick Knob” enables the user to make quick adjustments with the push of a button. Depressing the spring loaded button allows your monopod to slide up or down for gross adjustment so that you can find your desired sight picture. Release the button and re-engage the actuator rod threads and rotate the knob for fine adjustment. Available in Standard (3.5" - 4.75"), Mid-Range (4.4" – 5.85"), and Long (5.85" – 6.85") lengths with Quick Knob. 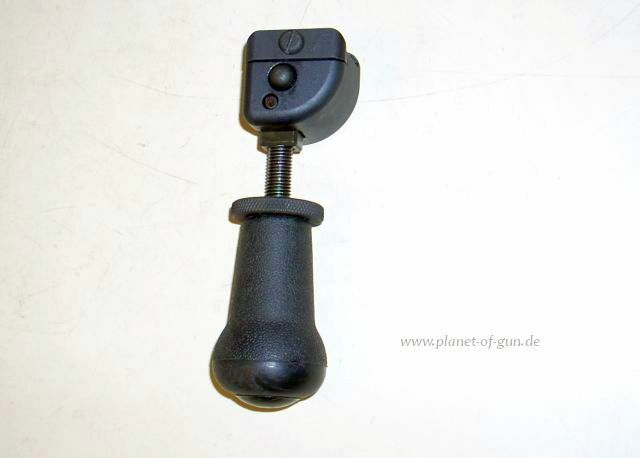 Purchase an original Accu-Shot Precision Monopod with the new “Quick Knob” upgrade already installed. Available in Standard (3.65" – 4.75"), Mid-Range (4.75" – 5.85"), and Long (5.7" – 6.85") lengths. Accu-Shot Monopod Locking w/Quick Knob 5.7-6.85"
Accu-Shot PRM Monopod w/Quick Knob Standard Range 3.75-4.65"
The Accu-Shot Monopods are designed to add stability and provide easy elevation adjustment for bi-pod equipped rifles. The Precision Rail Monopod (PRM) from Accu-Shot attaches to a Picatinny rail and has several applications other than monopod use, such as a folding vertical fore grip. It easily folds up and retracts out of the way when not in use. 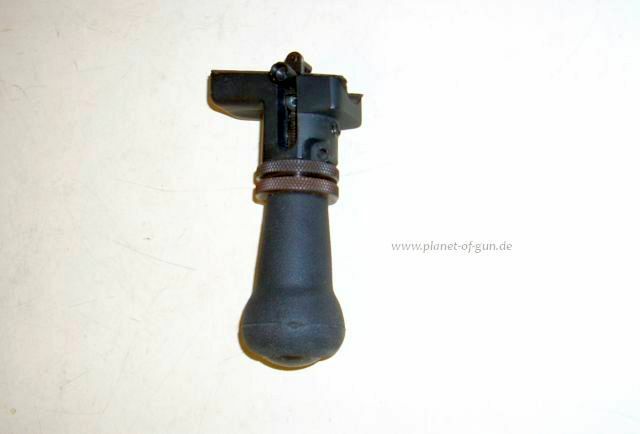 We’re offering the PRM with the factory upgraded “Quick Knob” for faster target acquisition. The “Quick Knob” enables the user to make quick adjustments with the push of a button. Depressing the spring loaded button allows your monopod to slide up or down for gross adjustment so that you can find your desired sight picture. Release the button and re-engage the actuator rod threads and rotate the knob for fine adjustment. Available in Standard (3.75” – 4.65”), Mid-range (4.75” – 5.65”) and Extended height (5.65” – 6.60”) heights with Quick Knob. 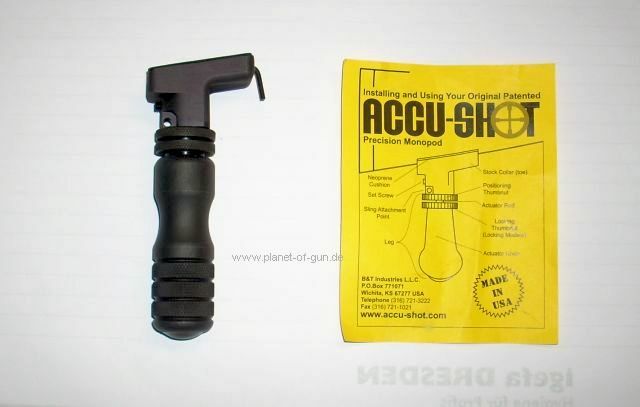 Accu-Shot PRM Monopod w/Quick Knob Mid-Range 4.75-5.65"